"You have a Strong Body... A Healthy Body.. Your Body Knows how to Heal You." Authentically living a chiropractic family lifestyle is what I think of when I think of Patty Giuliano. This heartwarming podcast with Patty Giuliano, hosted by Dan Lemberger will really take you on a journey that will expand your vision of what's possible for you and your life. Drs. Peter Kevorkian and Patty Giuliano have a one of a kind home office family practice in Westwood Massachusetts. Patty has practiced for 33 years, and her and her husband, Dr. Peter Kevorkian, run the longest standing consistently meeting philosophy group in the United States. Patty Giuliano is a genuine connector of people who has grown up in chiropractic and has growth through chiropractic. A Life University graduate who is highly involved with the League of Chiropractic Women shares shares simple truths of practice success including what they did to build Westwood Family Chiropractic from the ground up to a practice that's sustainable through referrals and a wellness oriented lifetime family care model. 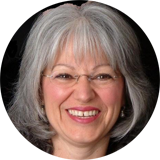 Gratefully, Dr. Patty Giuliano will be joining us as a one-hour continuing education session at Mile High this year, August 18th to 21st, 2016. Join us at Mile High to get more of Dr. Patti by registering here. I know you will enjoy this Mile High podcast episode from one of the warmest leaders in the chiropractic profession. "The main focus of LCW is to be a safe place for us to gather as a community." Question of the day: "What are the simple things that you do to help build community in your practice?" Please let me know in the comments. what drives you in chiropractic? How long have you been in westwood? Can you share a little bit how you got involved in the community for the practice members, the chiropractors in Massachusetts and the community globally. How you got involved with the league of chiropractic women? What are some things that you can give to everybody no matter where they are in practice that they can benefit from? What you think people can do to find their authenTICity? If you were to do something over again with your wonderful experiences is there anything you want to do differently? What would you say to people about Mile High?